An inherent part of any employment is the duty for employees to carry out a lawful and reasonable direction from their employer. A lack of knowledge on the details of ‘lawful and reasonable’ can make it difficult for employers to know exactly what they can ask their employees to do, as well as making it hard for employees to recognise if their rights in the workplace are being violated or they are being bullied. Under the Fair Work Act and Fair Work Regulations, an employee may be guilty of serious misconduct for failing to carry out a lawful and reasonable instruction that is consistent with their contract of employment. The lawful aspect of this is straightforward- requests must not require employees to break the law in order to complete a task e.g. driving a company car without a licence. The reasonableness of the employer’s request will depend upon the circumstances of each individual case. How do we determine reasonable? 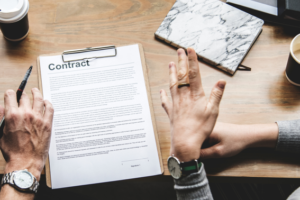 When taking into consideration whether a directive is reasonable, the employer must consider the nature of the employee’s work, the terms of their contract of employment, customary practices and the usual course of dealing between the parties. It’s important to note that whether a task could have been undertaken in a ‘more reasonable’ or ‘more acceptable’ manner is irrelevant. If the management directives are reasonable and lawful and an employee still fails to carry out the task, they can be subject to summary dismissal. In the case of Powell v Hunter Water Corporation, an employee was given the directive to take his defective work car to be serviced. Ignoring this, he continued to drive to and from jobs for the rest of the day. Because the employer request was a reasonable work direction that concerned the use of the Corporation vehicle, the employee was dismissed.